I've been a tad busy lately, and so the Christmas soaps have just been made, but not from my usual recipe, that takes six weeks to cure. On Tuesday I had a couple of hours almost free and Thomas was home to help, so we brought out the pans and bowls, and the Christmas moulds, and made a couple of batches of melt-n-pour soap. They look so cute and smell so nice. Best of all they're ready to use immediately, no need to wait for curing time. Along with the Christmas soaps, we made another double batch of Gardener's Soap, and a batch of Stain Removing Soap. I was down to the last bar of Stain Removing Soap, and it is brilliant on the sports clothes and Wayne's work clothes (better than Sard, as good as Exit Soap). I also use it to clean the tea towels and dishcloths. I just wet them, give them a general rub over with the Stain Removing Soap and put them in the wash. They come out stain free and clean, and then only need to be soaked once a month or so. The Gardener's Soap is on my yearly to-do list. I just love it because it's so gentle on my hands after gardening. I don't know about you, but even with gloves, and running my nails over a cake of soap before I put the gloves on, I still get my hands filthy! The Gardener's Soap is so gentle and soft to use, but it really gets the dirt off - and quickly too. Of course being coffee scented helps, you all know how much I love my coffee. 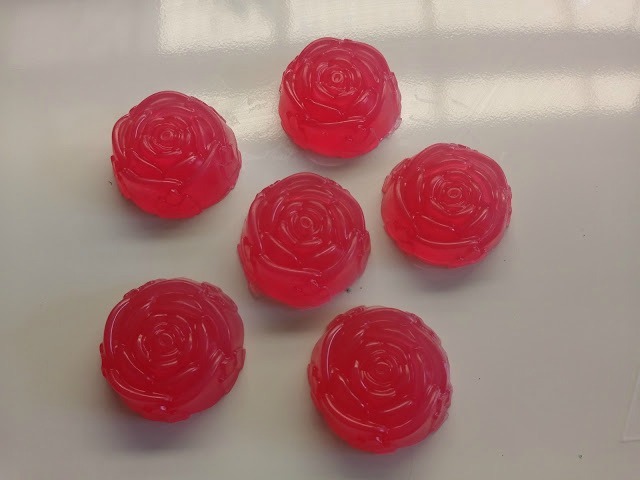 For years I've made fancy soaps just for Christmas. When the children were small, I'd put out Christmas soaps when we decorated the house, and then they'd each get a special Christmas soap, just for them, in their stocking. I don't do the soap in the stockings anymore, but I still love to put out fancy Christmas themed soaps in the bathroom. 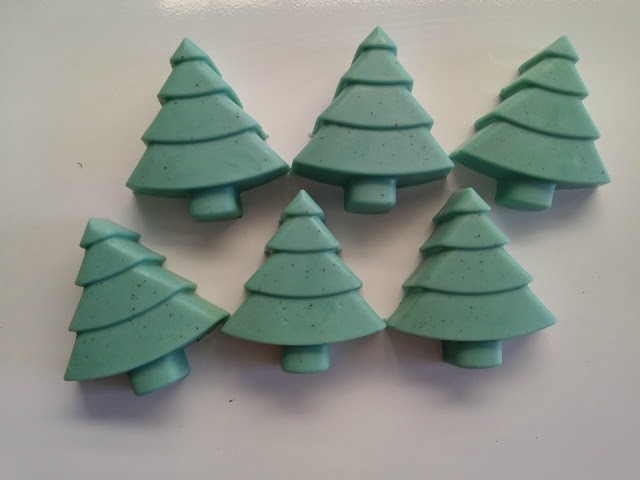 A couple of years ago, when the card ladies did a soap making lesson with me, some of them made Christmas tree shapes, and that's what I've made for our Christmas soaps this year. I picked the mould up from an op shop for just a couple of dollars. It's a silicone cake mould, and works perfectly for individual soaps. Don't they look pretty? This batch is made from a coconut and glycerine base and I tinted it green by mixing blue and yellow soap colouring (don't be tempted to use food colours - they stain! you and the basin and the face washer and the hand towel) to give the green colour. Then I added some peppermint essential oil to scent it. 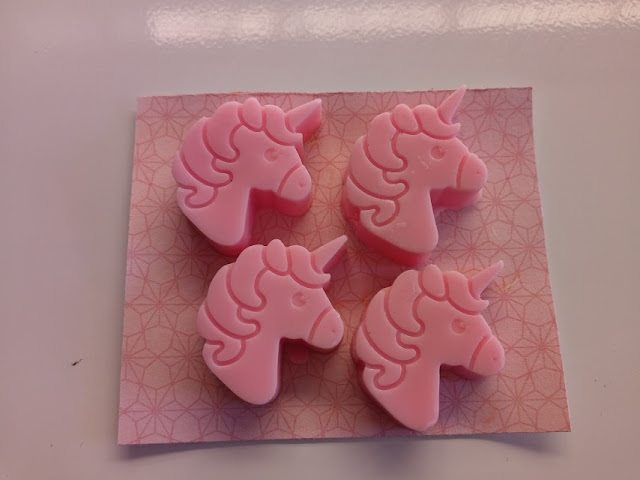 Essential oils don't last long in soap, the fragrance evaporates quite quickly, but because these just have to last until 12th night, it will be fine. 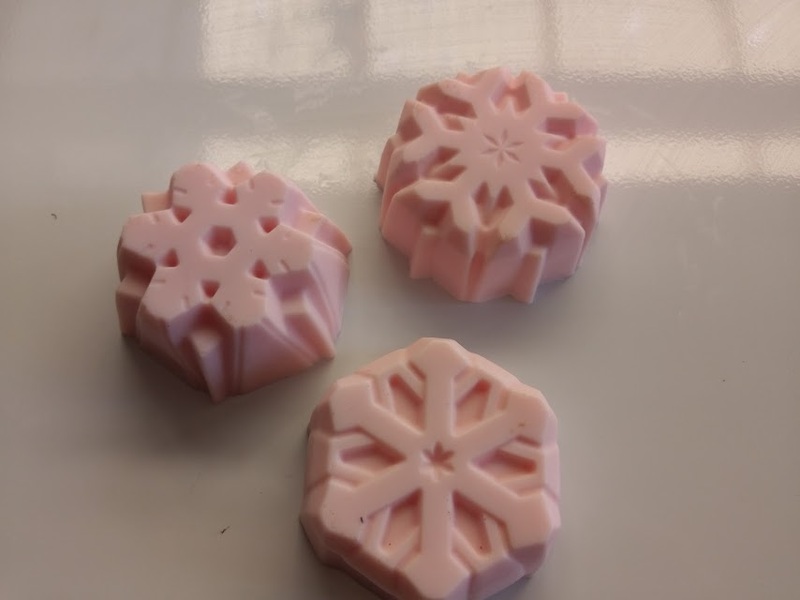 And while the soap making was happening, I made a batch of goats milk and glycerine soap, coloured it pink and use my rose and snowflake moulds to make gift soaps. These are scented with crab apple rose fragrance and smell divine. There was a little base left, and I had a new mould to use, so it didn't go to waste. Lastly, these pretty little unicorns are gorgeous. I've packed them into sets of four as they are for gifts. The mould came from Kmart, grand cost of $1.50 and I just couldn't resist! *I have no affiliation with either of these companies, other than being a very happy customer.